David has been a trial lawyer since 1989. He is a graduate of Emory University Law School in Atlanta. His first 7 years following law school were spent practicing in a multi-city law firm. David then opened his own practice, focusing on real estate and business litigation. 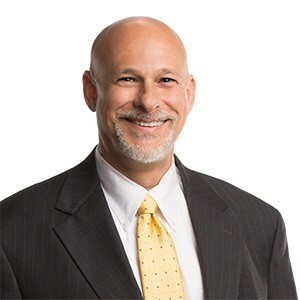 As a general practice trial lawyer, David has represented clients in several areas, including: class actions, construction law, deceptive trade practices, employment law, business torts, antitrust, shareholder derivative actions, collections, water utility rate change applications, administrative law, premises liability, landlord-tenant law, and business transactions that include formations, mergers and acquisitions. David is a problem solver. His unique skill set includes his ability to draw from his own experience, his persuasive manner, his negotiating prowess, his measured application of pressure on his opponents, and his focus on preparation and methodical strategy. When not working hard for his clients, David enjoys spending time with his two daughters, playing sand volleyball and, water-skiing on Lake Austin before the work day begins. Represented private, investor owned water utilities in contested administrative rate change petitions before the State Office of Administrative hearings.